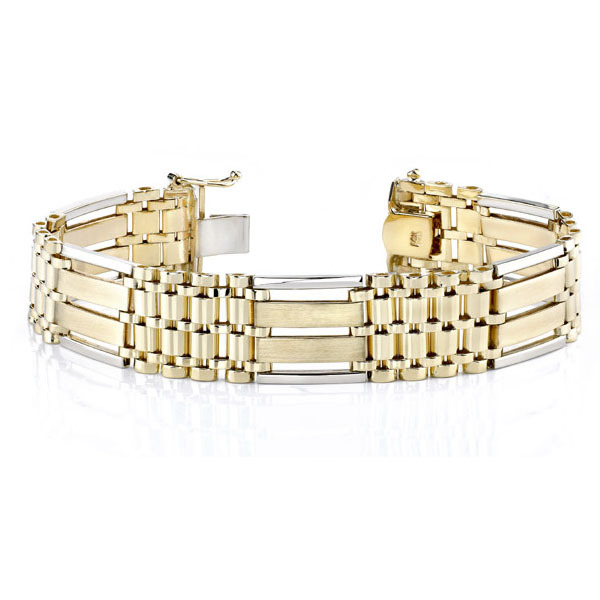 This is truly a quality and substantial men's 14k two-tone gold design bracelet. 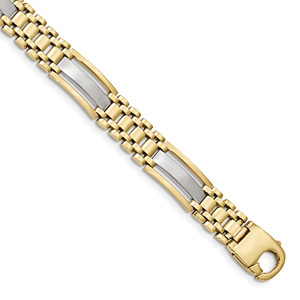 Mostly crafted in 14k yellow gold, the bracelet is accented with 14k white gold trim. Weighs approx. 48.0 grams of guaranteed 14k gold. Measures 17mm wide - (11/16"). 8 1/4 inches in length, standard. (Custom Sizes available by request - 2 weeks shipping time on larger sizes). 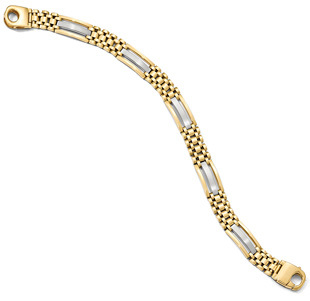 This bracelet has a smooth polished and brushed finish. We guarantee our 14K Gold Men's Design Bracelet to be high quality, authentic jewelry, as described above.